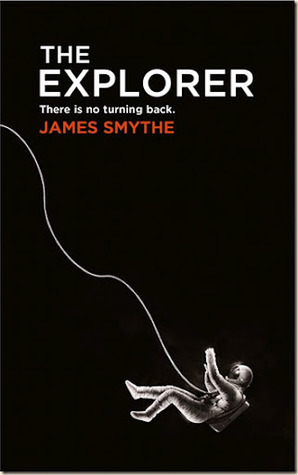 I felt like The Explorer had so much potential. So much. It's about a journalist who's on a mission deep into space with a bunch of scientists, but then people start to die. It ends up feeling a little bit like the movie Moon, which I've extolled the virtues of at length (hie thee to Netflix and watch ASAP, I tell you), but then turns out to be sort of boring and disappointing. The ending felt like a huge cop-out. I'm afraid I can't really recommend it. 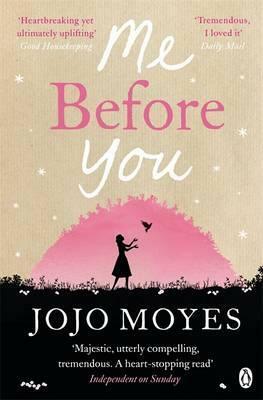 Now, I think Me Before You is probably worth your time. It's a sweet, well-written novel about a woman who's stuck in a bit of a rut, until she loses her job and then finds herself working for a surly quadriplegic. I found it uplifting and also a bit sad. It's thought-provoking and lovely. Four out of five stars. Somehow, I'm just now reading this classic, which was first published in 1985. I found it pretty entertaining, if a little strange at times. The writing felt a bit older than 1985 -- like the boys using variations of the word "fart" to insult each other and the fact that racism is alive and well in space ... I mean, I sort of envision race issues going out the window if we can manage to populate other planets, but perhaps that is wrong and naive of me. For those unfamiliar with the premise, the world has basically hanged its only hope of survival on a child named Ender, whom they're hoping will eventually be able to command their armies in battle against a hostile alien race called The Buggers (again, not loving this name but it's apt, I guess). The book is the tale of Ender's training and attempts to win over his peers, who've been turned against him in some instances. It also touches on his evil, psychotic brother, Peter, and loving sister, Valentine. I gave it four out of five stars for keeping my interest, although as I say, I have my quibbles. At the end of the book, whole years flash by with just a little description, which is quite a bit different from how the rest of the book is written. It's a minor annoyance. Anyway, it kept my interest enough that I will certainly be reading the sequel, Speaker for the Dead. And, as I mentioned, Ender's Game is obviously being released on film in November and looks pretty killer. 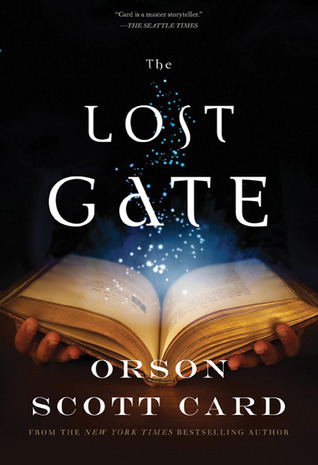 The Lost Gate definitely smacks of some of the same themes from Ender's Game. We've got a young boy whom many people are prepared to hang their every hope on. Unfortunately, it dragged a bit. It spent quite a bit of time going on about gates and how gates are formed and who can lock them and yadda yadda. I gave it three out of five stars. That said, if you're a big OSC fan, it might be worth a read, and the good news is it's a series (that I won't be reading). I haven't chosen a new book, yet. I'm sort of Orson Scott Carded out at the moment and need a breather. I'm considering Stephen King's Under the Dome, which you probably know is going to be a miniseries that starts on June 24. How about you? Read anything awesome lately? I'm reading Anthony Bourdain's Kitchen Confidential. I've watched his show for years but never read any of this books. It's pretty great! I read most of that last year but for some reason lost interest ...? But I generally enjoy his writing, since it's exactly how he speaks. 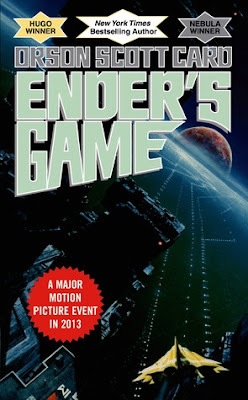 I originally read "Ender's Game" in the sixth grade. Being around 12, it seemed so much more poignant to me, since I was the age of many of the characters. I recently re-read it -- refreshing my memory for the movie -- and found an entirely different perspective: Originally, my focus was entirely on Ender and what he was going through. This time around, the manipulation by adults stood out to me. And yet, I also understood why they did it. How they could justify it. And then I felt dirty. I was also horrified that parents would just let their children be taken from them for years on end to train as soldiers, among other things. That said, "Speaker for the Dead" is an amazing book -- and just may be my favorite in the trilogy -- as is "Xenocide", although it has a parallel story in it that makes it seriously drag. He wrote several other sequels, but I never really got into them the way I did with the first three. I also remember enjoying "Treason", "Lost Boys", and "The Worthing Saga", although it's probably been 15+ years since I last read all of them. I actually recently read the short story "I Am Legend", which is what the movie was based on, and enjoyed it. It was an intense read, and the main character isn't always likeable. But it has a fantastic twist to it. I got it for free from Amazon for the Kindle, you might check it out if you're interested in something shorter/less time consuming. Glad to hear Speaker for the Dead is good! I look forward to it once I've had a breather from OSC. :) Mayhaps I'll check out I Am Legend ... that movie freaked me out. Which is probably lame to admit. The movie didn't really freak me out -- but parts of the story did. I highly recommend it. I have loved Ender's Game for most of my life, and in fact, call it my favorite book- ever. I hope the movie doesn't screw things up, but it probably will. I am so afraid to read I Am Legend because the movie horrified me, but I will probably read it anyway. My electric bill will definitely go up. I read Under The Dome last year, and overall I liked it. The ending was rather bizarre, so I don't generally recommend it. I am currently reading The Orphan Master's Son, which you recommended, so.... I am no help. Wow, favorite ever! I'm not even sure if I could say what my favorite book ever is. I read an excerpt of Under the Dome and am not sure I want to buy the book. I always forget that Stephen King is obsessed with making people pee and poop their pants, which for some reason irritates me. It's like, OK, this person is already dead, do we really have to do them the indignity of making them wet themselves, too? I hope you're enjoying The Orphan Master's Son!